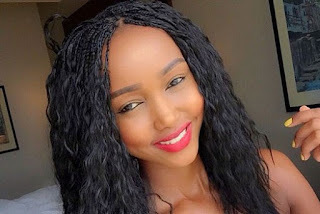 A Wealthy senator confessed this past weekend that he has been eyeing Kenyan socialite Huddah Monroe for a long time . The unnamed politician was hanging out at a local club when he confused to everyone how he has always wanted Huddah to be his second wife. “Whoever can pimp her to me, please go ahead and deliver her to me. I would want her for a wife,” the politician told people at a Nairobi club on Saturday. The married Politician said he has always fell for Huddahs’ curves and couldn't wait to have them delivered to him so he can keep her. The socialite did not hesitate to let known her stand in regard to the wishes of her confessed admirer.